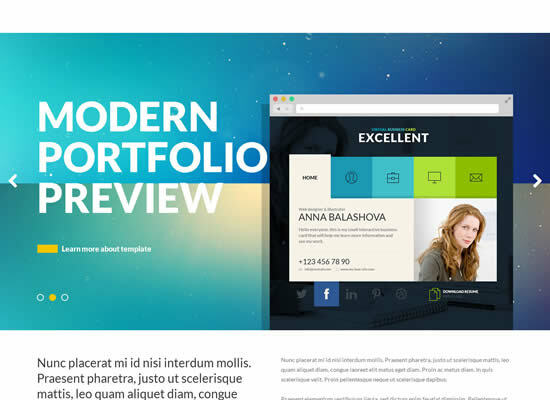 Parallax WordPress Themes is a extremely bestÂ of 2014 responsive premium for WP that enable you to make a one page site with scrollingÂ effects you can also do definitely something you like. The parallax scrolling effect is trendiest moment, in web design. Its depending on various layered background graphics thatÂ move at different speeds and distances compared to foreground, creating the illusion of depth as scroll down page,Â seem like a animations for the remarkable graphic impact that enables for plenty of innovative apps for on-line storytelling. Themes with parallax effect are typically making use of the one page sites where each of the content articles are on a single page. 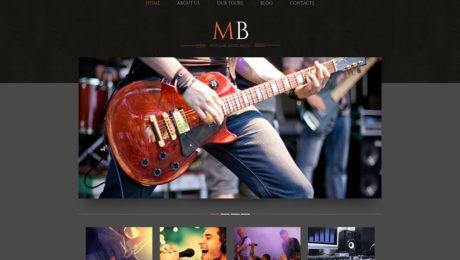 Designers, developersÂ and creative agencies like these themes because they are an awesome showcase platform for perform. 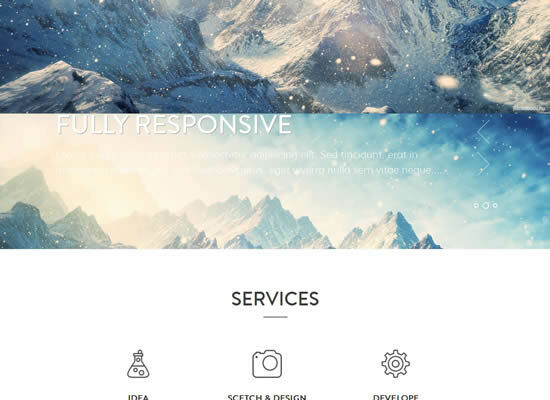 Every single parallax theme have their own approach and are good for site owner which focus on their professional services and showcase theirÂ work with one page, nicely organized and change design in ways that depends on solutions that you provide. The fun and animated parallax scrolling segments have some efforts ofÂ visitors to make them love your pretty information. Many people globally have used them, so that you can be listed too. 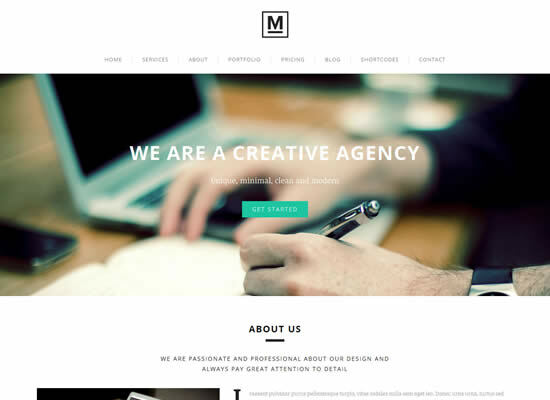 With this selection, we are going to showcase the best parallax scrolling WordPress themes for design studios, photographers, designers, creative agency,Â and much more, to showcase their particular performs. You can go with a greater one as you want. In addition to all themes are fully responsiveÂ for making your website are very effective on mobile devices, We imagine you will enjoy it! 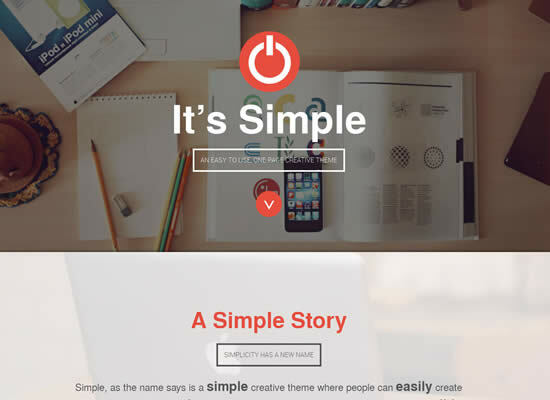 Simple is a very easy to use creative WordPress theme with both single page and multiple page layout. 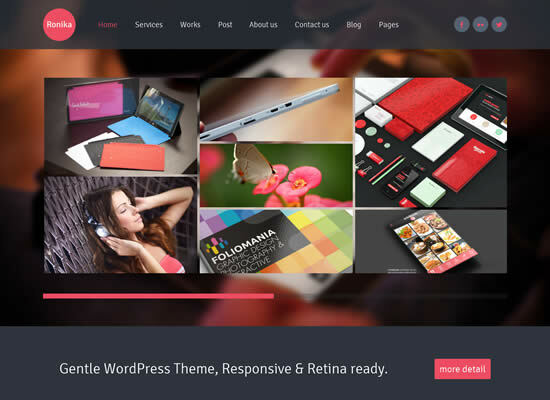 Theme features parallax, animated contents and Retina Display optimization on a perfectly responsive layout built with Bootstrap and fully optimized for all devices. 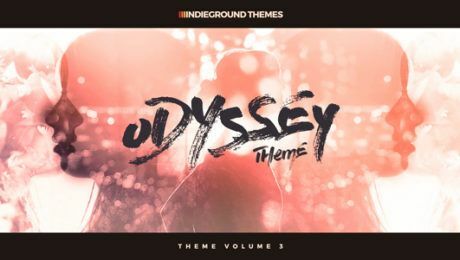 The theme tested on iPhone 5, iPad 4, S3 android and Windows Phone. 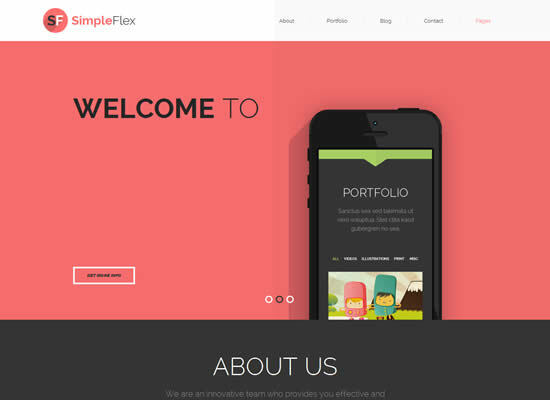 Simpleflex is a premium, creative, ultra-responsive, and retina-ready WordPress theme, that offers you one page and multi-page layouts with the latest and most powerful features. Its uniquely flat design, beautiful parallax effect and dynamically smooth animations provide you a simple and modern look on all devices. Simpleflex includes 2 versions of possible setups and PSD files. Ronika, Itâ€™s fresh and bouncy, A One Page/Multi Page theme that lets you not only create a unique home page but create many pages with different color variations and animations, It is a perfect theme for creative agencies, freelancers and the ones who need to showcase their work. 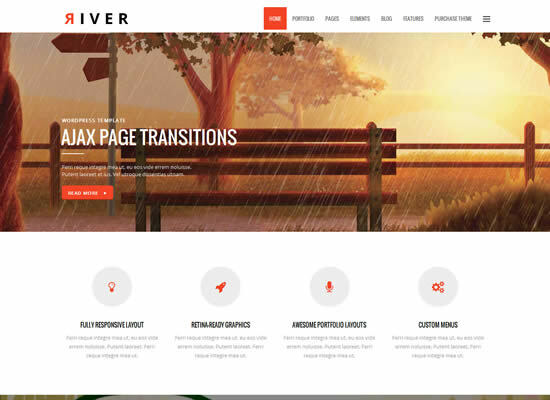 River is a retina-reday fully customizable multi-purpose responsive WordPress theme. 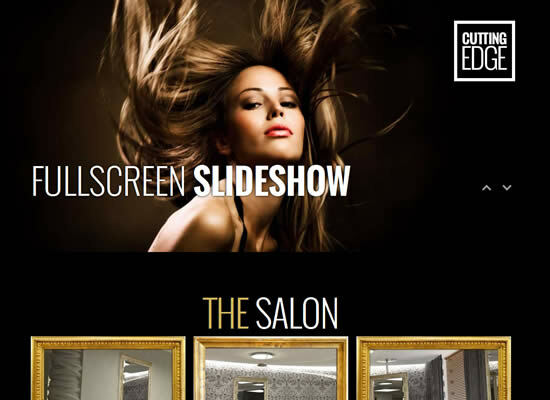 Looking for something unique and cutting edge for your salon, have a website that portrays and compliments your business, then please check out Cutting Edge â€“ Responsive One Page Parallax Template. Designed to suit hairdressers, beauty salons, massage parlours & day spas this site is very flexible and is easy to use with loads of great features. It has been designed to make it easy to customize. Dignity is a simple & easily reusable WordPress theme with a clean design and neat arrangement of contents. 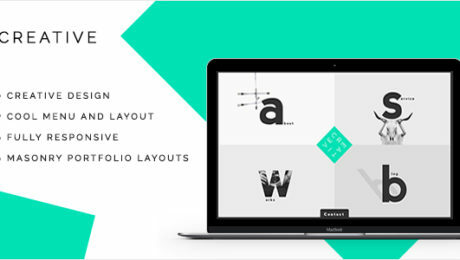 A perfect one page portfolio for all creatives. Featuring 12 home page variants, animated elements, parallax layers, retina ready & responsive layout, fullscreen BG images / BG video YouTube & Vimeo / Fullsceeen Flickr Images BG, AJAX media portfolio, touch carousels and more unique features. You can change colors with a single click. Donâ€™t miss the live preview. 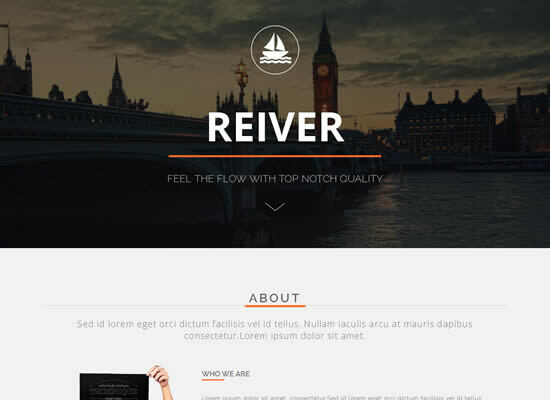 Reiver is easy to use cleanly designed fully responsive OnePage template. Checkout some of the key features here. 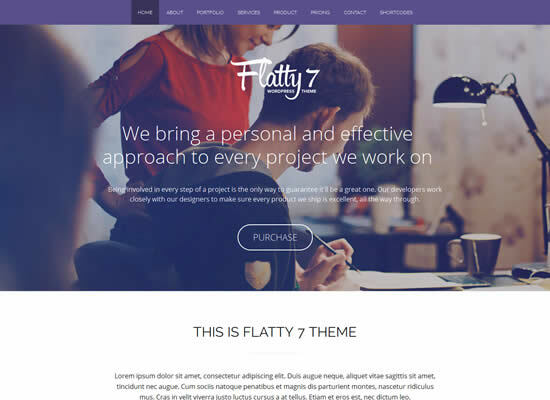 De7igner is a Flat iOS7 Inspired OnePage Parallax fully responsive WordPress theme with HTML5 Video Background Support and a lot of other great features. It works well on desktops, tablets, and mobile devices. 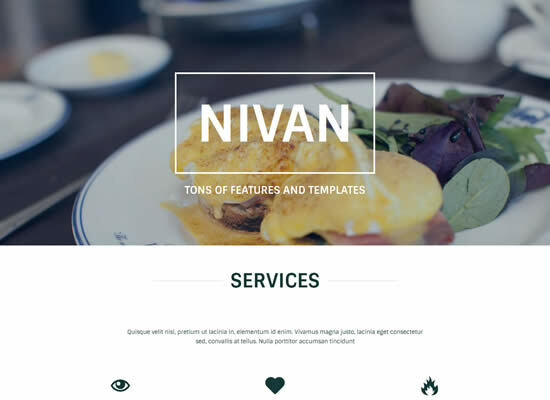 The template is perfectly adapted to various screen sizes, and its attractive fresh design makes it look great. It has been specifically designed to be easily customized and itâ€™s created for creatives who want to make portfolio in few minutes. Brizzz is a Modern and Creative premium WordPress Theme. 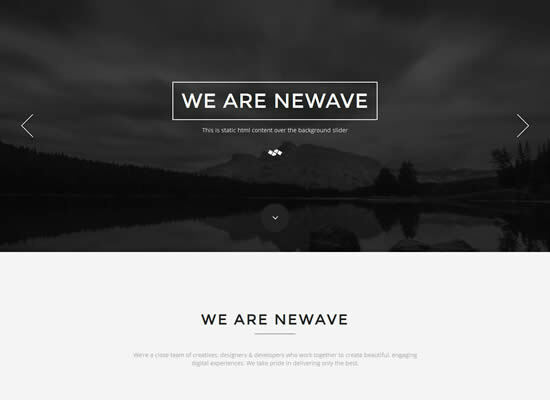 Design Theme is made in a beautiful FLAT style. It is suitable for Personal Portfolio, Creative Agency, Designer Portfolio, Illustrator Portfolio, Photographer Portfolio and more.Theme has a universal design, it thought every detail and animation effect. Max is a premium, responsive, and retina ready WordPress theme that offers one page and multi-page layouts. It provides you a simple yet unique look on all devices. The minimal and modern design of Max is suitable for all purposes. 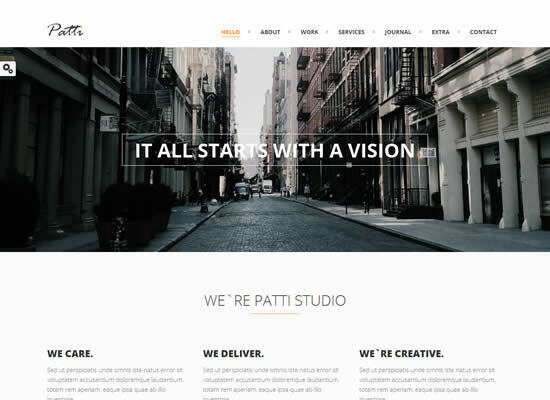 Parallax theme is a combination of two cool trends – parallax scrolling and single-page design. 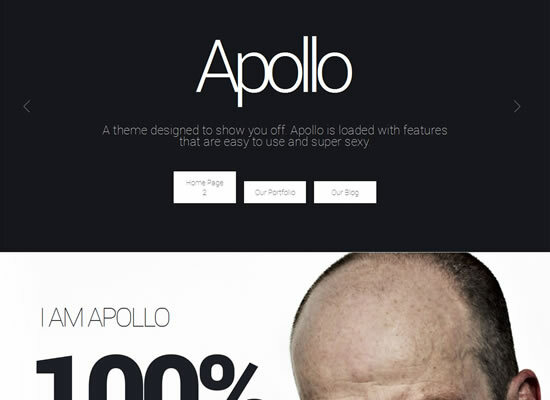 It is designed to help you to build a stunning parallax scrolling site with ease. Showcase your work and services responsively on a single page. Viewers can enjoy your beautiful content in parallax scrolling sections. Impress your visitors with fly-in elements! The theme can be used as a single-page or regular site with page URLs. Jump in the parallax scrolling trend now with Parallax theme. 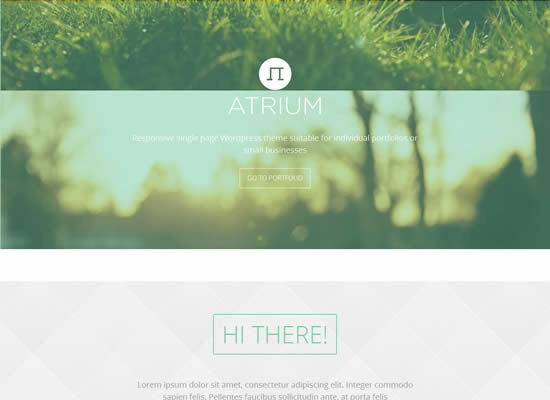 Atrium is a fully responsive one page WordPress theme built with Twitter Bootstrap framework. Comes with a smooth & nice parallax effect. Parallax is visually stunning and designed to grab your visitors attention from a traditional or mobile browser. This responsive parallax WordPress theme features 2 color variations, a slick Parallax scrolling effect, is Widget Ready and more.